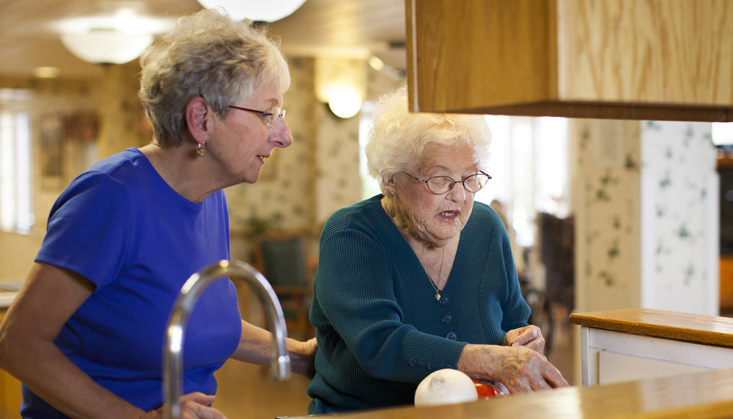 Fairport Baptist Homes provides skilled nursing care, rehabilitation and comfort care in our 142-bed facility of accessible “neighborhoods” following our innovative household model, with its unique, home-like culture. We offer private and semi-private rooms. To take a virtual tour of our neighborhoods, please click here. To come see for yourself, contact Nadine Arndt at 585.388.2307. Beauty salon and barber shop! Preferred admission for FBH’s rehabilitation services, if needed following a hospitalization, based on availability and individual care needs. − Call or email Nadine Arndt, Admissions, at 585.388.2307. Any Health Care Proxy, Power of Attorney and MOLST forms that the patient may have in effect. All written and verbal information you provide us is considered privileged, and will be treated confidentially. View our confidentiality policy. All approved applicants are placed in a waiting pool from which admissions are made according to the care needs of the applicant. Admission is based on a variety of additional factors as well, including, but not limited to: special needs of the applicant, whether there is an opening at the appropriate level of care, roommate compatibility and, if vacancy is in a double room, whether it is male or female occupied. To easily contact us, send or fax your application information to: 585.377.2620. Fairport Baptist Homes accepts Private, Medicare, Medicaid, and other Third Party Payers. Click on the button below to provide us your contact information and we will send you our Information packet.